There was a buzz in the internet community last week after the People's Daily, widely regarded as the most influential newspaper in China, published an article in English announcing changes to that country's domain name system. The domain name system, comprising generic top-level domains such as .com and country-code top-level domains such as .uk, ensures that e-mail arrives at the intended address and that websites are accessible worldwide. Administered by the Internet Corporation for Assigned Names and Numbers (Icann), a US non-profit organisation, the system depends upon the existence of a single root, an authoritative database that provides certainty by limiting each domain name to a single registrant. The People's Daily article suggested that China was implementing several new Chinese character domains, including .China, .com, and .net. While that alone would attract attention, the article went on to state that as a consequence of the changes, "internet users don't have to surf the web via the servers under the management of Icann of the United States." 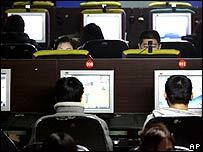 Those comments left many net watchers anxious to determine whether China had taken a significant step toward establishing a Chinese internet that could function independently from the global internet maintained by Icann and ultimately controlled by the US government. In fact, given the existence of a Chinese .com, the announcement raised the spectre of a competing system with the prospect of multiple roots. While there still remains some uncertainty about the full implications of the Chinese domain name changes, late last week officials sought to assure the world that it had no intention of creating a separate Chinese internet. The new Chinese domains were in fact not so new as China had been experimenting with them for several years. Icann supporters breathed a sigh of relief. With preparations under way for another international Icann meeting later this month in Wellington, New Zealand, the threat of a potentially competing internet was no longer viewed as an immediate concern. The relief may be short-lived, since a closer examination of this past week's events suggests that, bolstered by the Chinese action, other countries may place increasing pressure for change to the current structure and administration of the internet. The Chinese decision to fully implement Chinese character domain names reinforces the mounting frustration of many non-English speaking countries with Icann's apparent inability to expand into multilingual domain names. These are often referred to as internationalised domain names, IDN. While Icann has conducted studies and consultations on IDN implementation, progress has been painfully slow. China's ability to implement its own IDN system without Icann support is likely to serve as a model for many other countries around the world. In the months ahead, look for countries in South America, the Middle East, and other parts of Asia to emulate the Chinese lead by establishing their own national IDNs. While Icann's technical support was not needed for the Chinese IDN system, the internet governance community has provided China with the legal support to establish such a system. 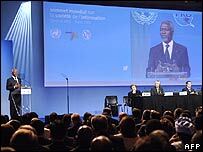 At the UN's World Summit on the Information Society in Tunis last year, governments confirmed the sovereignty of individual countries over their national domains. The Chinese domains are therefore a legitimate exercise of that sovereignty. The Chinese development is also noteworthy because it works. Researchers at Cambridge University report that Chinese ISPs recognize the new domains. This is not as simple as it sounds. Internet providers around the world are accustomed to looking solely to Icann for authoritative domain name information. The Chinese domains require net providers to implement additional functionality so that the new domains resolve to the correct address in the same fashion as conventional .com domains. There have been attempts to develop similar domain name alternatives in the past with several initiatives launched by the private sector. Despite some modest successes, no one has ever come close to creating a national alternative that is functional for 110 million internet users. With an alternate IDN system in place, it would relatively simple for China to migrate toward a true national root or alternate internet since a system is now in place for their ISPs to work with domain name alternatives. Given its continued interest in censoring certain online content, a national root that excludes large chunks of the existing global internet may ultimately emerge as an attractive option to Chinese lawmakers. Should that come to pass, last week will be remembered as the beginning of the end of Icann's exclusive grip on the governance of the internet's domain name system.